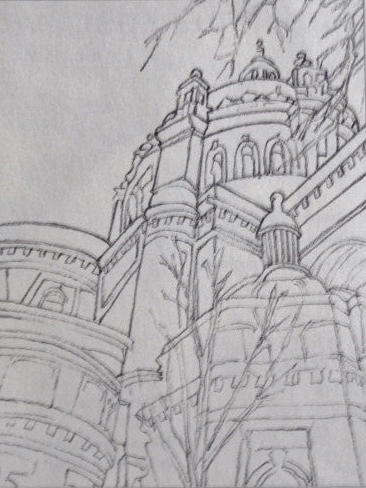 I am posting the contour and final drawing of the St Paul Cathedral in St Paul, MN. I was looking above the rectory at the dome and wanted to lead the viewer to that upper area. This was accomplished by allowing the focal point to contain all of the values including extreme lights and darks. The gradation scale became more restricted and encompassed only middle range lights and darks in the lower areas. 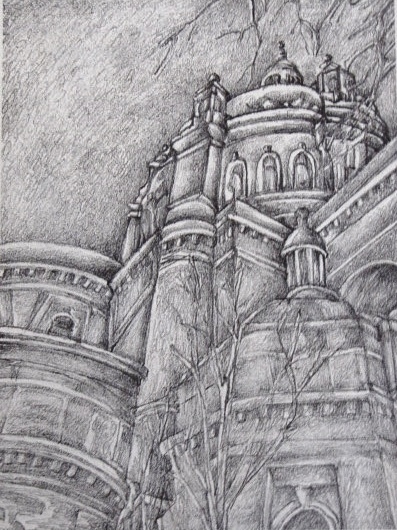 You are currently reading St Paul Cathedral at Dr. Mary McNaughton and Drawing.